Whether you are an aspiring teacher or simply eager to deepen your knowledge and practice of yoga, Happy Buddha’s 200 hour program is the place to start. You might even be certified to teach already, but simply want to brush up on some things and delve a little deeper on the second go-round! This is a life-changing, mind-opening journey that will surely open up new doors for you. We will dig deep into the timeless philosophy of the Yoga Sutras, discover how the practice relates to our daily lives, and deepen our physical practice in a meaningful way. 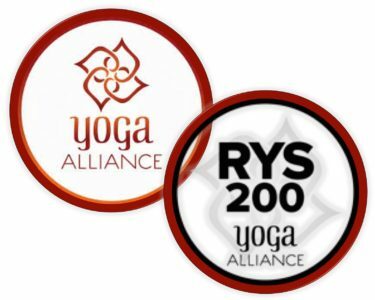 Upon completion you will be a certified yoga teacher, able to register with Yoga Alliance at the 200 hour level. To find out more about our upcoming Teacher Training, contact us at charleenp@yahoo.com. 2019 Teacher Training begins on January 18th! Tuition is $3150. Fill out this application for our Teacher Training program and submit with a $500 non-refundable deposit to guarantee your spot. There is a payment plan available. In addition, you will receive unlimited classes at Happy Buddha for the duration of the training, plus the month after! Contact Charleen – charleenp@yahoo.com for more information. Anyone who has been practicing for over a year and loves yoga is welcome to join!